This is primarily a health blog . Health issues are discussed in a simplistic manner. It is intended to be viewed by all. The discussions are based on clinical experience of the author and facts from text books & medical journals. This blog is only for some understanding of health issues and supplementary to your treating physician. The decision of treating physician is final in this regard. This is a sub-domain of Blogger owned by Google provided free of cost. There is no funding from any source be it Govt., pharmaceutical companies or any individual at present. All the expenses what ever being born personally. · This blog is published and book marked in other sites owned by the author simultaneously. · The pictures and references are collected in the real time by software add-ons to browser and many times are not verified. There is no commercial interest in it. Some advertisements are displayed in exchange of promoting the blog to more people. Our website hosts advertisement banners and sponsored links. As such there is no funding from any source to sustain the website. We do not authenticate the advertisements; left to viewers discretion. Some banners of blog listing directories are put as a part of obligation for listing this blog free. Advertisement is distinguished by the word "Advertisement" with a clear identification of banners or exchanged links. The articles are written, edited and published by the author himself. Moderation of comments also done by him. No other person or body is involved at present. The author is Dr.Prahallad Panda an allopathic medical doctor registered in Orissa,India. His medical Registration Number is 9300. He have completed (MBBS) graduation and post-graduation (General Surgery) from MKCG Medical College Berhamour, Orissa, India in the year 1985 and 1994 respectively. He is also a trained Laparoscopic Surgeon from The Apollo Hospitals, Hyderabad, India and a trained endoscopist from The Kothari Medical Center, Kolkata, India in the year 2002. He had served in the Orissa Govt.Health cadre from the year 1987 to the year 1998 and thereafter serving in The Paradip Port Trust, Paradip, India till date. 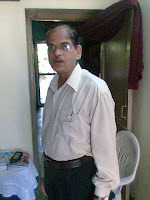 He is the author of this blog. 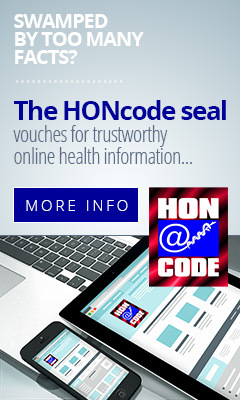 THIS BLOG HAS BEEN CERTIFIED BY HEALTH ON NET FOUNDATION, GENEVA.